Also, I ran (well, mostly walked, haha!) my first 5K today!!! Exercise/fitness is definitely something I am just beginning and I have a long way to go, so this was pretty exciting for me 🙂 Healthy diet and natural living come much more easily to me than exercise, but I am determined to make the effort because I know they should go hand-in-hand in order for me to be the best I can be. 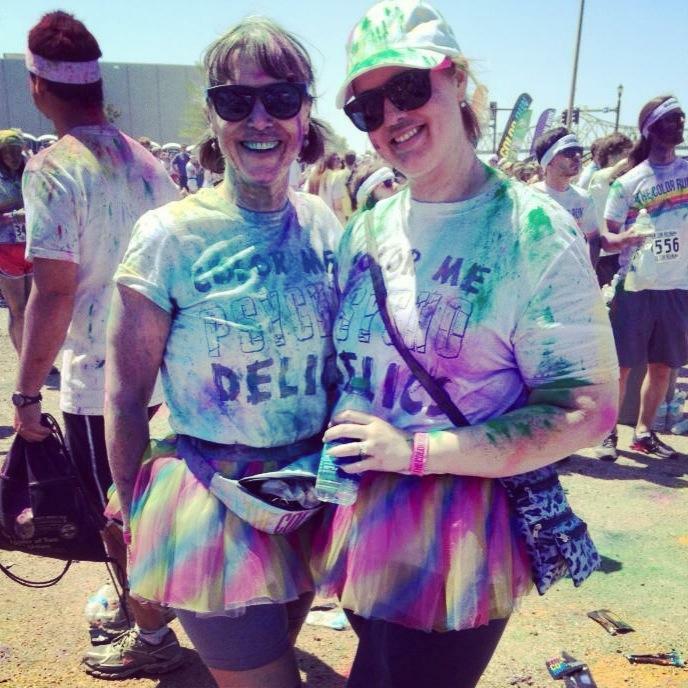 My fit and beautiful momma and me after The Color Run today. So much fun! In the flea market mélange of allegory, anecdote, parable and chronicle, there’s a hint of masterpiece behind every velvet elvis. Creepy & cute crochet, cross stitch, painting, upcycling, and other non-sense!